Eye pain is described as an aching, throbbing, burning or stabbing sensation inside or around the eye. Eye pain may occur on the surface of the eye or even within the deeper structures of the eye. Eye pain, which is on the surface of the eye, can be itching, burning or even shooting pain. This surface eye pain is generally related to external objects in the eye, eye infection or maybe anything else, which irritates the membrane that covers the eye surface. Causes of eye pain fall into two broad categories: Ocular pain and Orbital pain. 1 Ocular pain is eye pain coming from the pain-sensitive outer structures of the surface of the eye. Orbital pain is described as a deep, dull ache behind or in the eye. Diseases of the eye often cause this pain. Tears coming out of eyes. Red itchy eyes are also known as Conjunctivitis. Sensation of the foreign body i.e. the feeling of any particle in the eye. Sensitivity or irritation from light. Clear or thick and colored discharge. Crusting of lashes or eyelids. You must use these ways to prevent Eye Pain or Eye Ache. 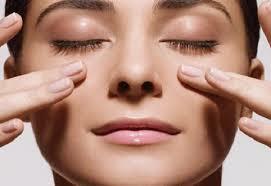 Use your fingers to gently massage your eyelids and muscles above the eyebrows for about 10 to 20 seconds. Gently massage your lower eyelid against the lower bone for about 10 to 20 seconds. Massage the temple and upper cheek bones, also. · Do this 1 or 2 times daily. · Sit up straight in a comfortable position. · Warm your hands by rubbing them together rapidly. 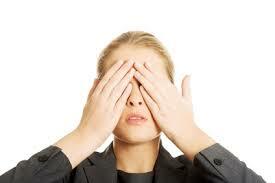 · Close your eyes and place your warm palms over them, without applying pressure on the eyelids. · Relax and enjoy the darkness for about 30 seconds. · Slowly open your eyes and look around. · Repeat the process 3 to 5 times at a sitting. · Follow this technique frequently throughout the day. · Stand in a sunny place in the early morning. · Close your eyes and allow the sunlight to fall on your eyelids. · Feel the warmth on your eyes and slowly move your eyes up and down, right to left, clockwise, and counter-clockwise. 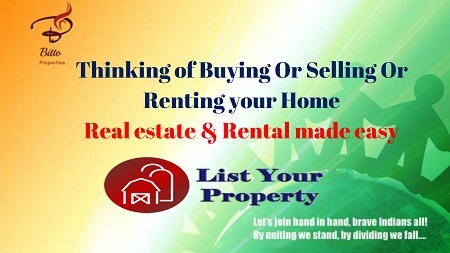 · Repeat this process for a total of 5 minutes. · Follow it with palming. · Do this once daily. 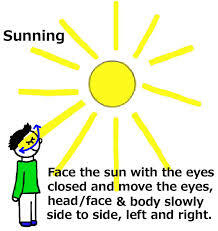 Note: During sunning, do not wear contact lens or glasses. In addition, it is essential to do palming after sunning to derive the maximum benefit. Cold water can also be very effective in relieving mild eyestrain. It can improve blood circulation, relax tired muscles around your eyes, and reduce eye swelling and puffiness. 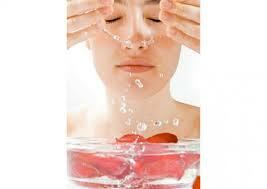 · Splash some cold water on your face and closed eyes whenever your eyes feel strained or tired. It will have a quick relaxing impact on your eyes. 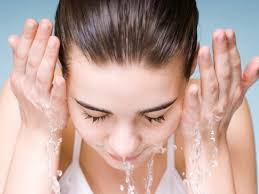 · For a more concentrated remedy, dip a soft washcloth in cold water and wring out the extra moisture. Place the cold washcloth on your closed eyelids for 1 minute. Repeat as needed. · If you have puffiness along with strained eyes, use a cold compress. Wrap a few ice cubes in a clean cloth. Place it on your closed eyelids. The puffiness will decrease after 5 to 10 minutes of application. · Dip a soft cloth in warm water and wring out the excess moisture. · Lie down comfortably, close your eyes and place the warm towel over your eyelids. · Relax and breathe slowly for 1 minute. · Change the washcloth and repeat the process 3 or 4 times. · Follow this treatment 1 or 2 times daily. · Splash your eyes with some cold water and pat dry with a clean towel. · Dip 2 cotton balls in rose water. · Lie down, close your eyes and place the wet cotton balls over your eyes. 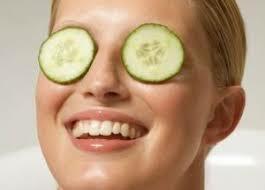 Cucumber slices can also help get rid of eyestrain quickly. Due to its astringent properties, potato helps soothe the tired muscles around your eyes. It can even help reduce under-eye puffiness and dark circles. · Cool a medium-side cucumber in the refrigerator for 20 to 30 minutes. · Cut it into thick slices and put them on your tired eyes. · Follow this remedy 1 or 2 times daily. This remedy can also be done with potato. · Wearing of goggles while handling tools, industrial chemicals etc where there are chances of small particles or dust. · Wearing safety glasses during sports activity. 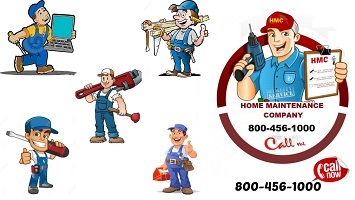 · While using any kind of spray, it is important that the nozzle is pointed away from the eye. · If one uses contact lens, proper routine check up is to be undergone to prevent eye injuries. Also, users should follow the doctor’s instruction while applying, removing and washing the lenses. · The eye should be washed with water regularly to keep eye clean. · Cosmetics such as eye shadows, eyeliner etc should not be shared with others. · Swimming in water having chlorine content should be avoided as this might cause eye infection.